Richard Schwartz, PhD, accepted a custom painting entitled The Hope Merchant, as a gift of gratitude from me. 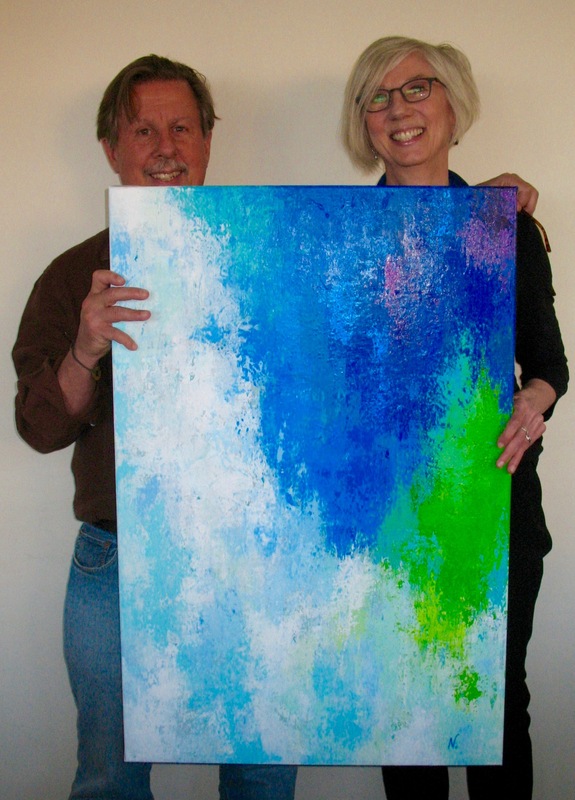 I presented the painting to him during an IFS training at the Cambridge Health Alliance in April. Thank you Dr. Schwartz for founding the Internal Family Systems paradigm that is used in psychotherapy, addictions treatment, conflict negotiations, childhood education, and as a personal daily practice. IFS extends compassion and hope in a world of complexity.